Caulerpa Taxifolia belongs to the greenmacro algae species and has long fronds with segmented appendages. 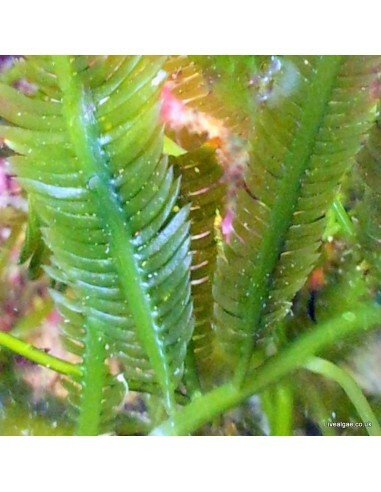 It is tolerant to a wide range of water temperature but needs more light than for example Caulerpa Prolifera. A very nice looking algae which gives the marine tank a more natural look. 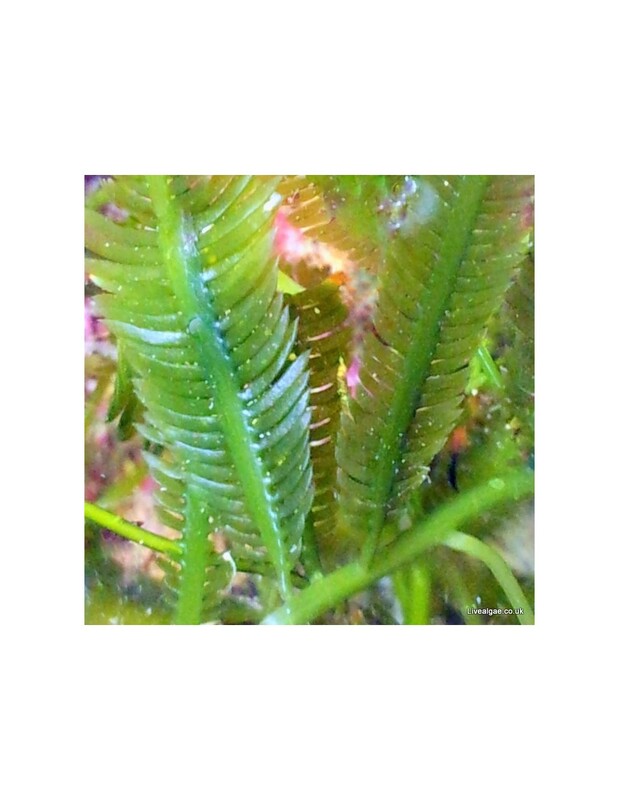 It is as well a recommended algae for the refugium to reduce the nitrate and phosphate level in the tank. By buying this product you can collect up to 15 loyalty points. Your cart will total 15 points that can be converted into a voucher of £ 0.30. Caulerpa Taxifolia macro algae prefer good light. As it will attach itself to rock etc. we recommend not to place it too close to your main rock, unlike you like to have it there. It needs some trimming and attention as it is fast growing. Great to keep in the sump as well. Some caulerpa species might go sexual, which means that it releases gametes and tissue into the aquarium water. Although this said, we never had in 14 years any problem with this algae species, and it was one of the first macroalgae we got. One thing to avoid this is good light and to remove pale turning parts of it. It arrived quickly and it looks lovely in my aquarium. Highly recommended. Very happy with the algae I have received.